"What're you looking at me for?" Ah well, I’ll get there eventually. Meanwhile I’ve had a little more success with Marelle’s crochet lace dress. I’ve finished the bodice and the first pattern section of the skirt. Hurrah! I hate packing, but I love unpacking and having a blank canvas. Do you love or hate moving? I’m not good at moving – but the last one was nearly 9 years ago when my family and I left the Melbourne suburbs to live in rural Tasmania. That move was done within a 4 week window of selling our house and it was so crazy that I didn’t get the time to assess what to take, what to donate and what to throw out. Even though I’m not moving house, I have a large project of sorting our accumulated stuff and reducing or storing it properly. My yarn stash alone is a thing to behold – stored into respective colours and plastic tubs so at least that’s taken care of. Your knitting and crochet is so neat – I’ve enjoyed seeing the unique little characters you make and I’m sure this dress will be stunning. At the moment I’m knitting and crocheting for a local market stall (using some patterns from Meet me at Mikes) – but my long term project is lace knitting a scarf from an 1895 pattern – it’s 2ply alpaca silk in a colour called garnet. I am so looking forward to wearing it one day! Our last move was from Brisbane to Melbourne, so this one will be less stressful. We have plans to end up in Tasmania eventually. Are you happy down there now? 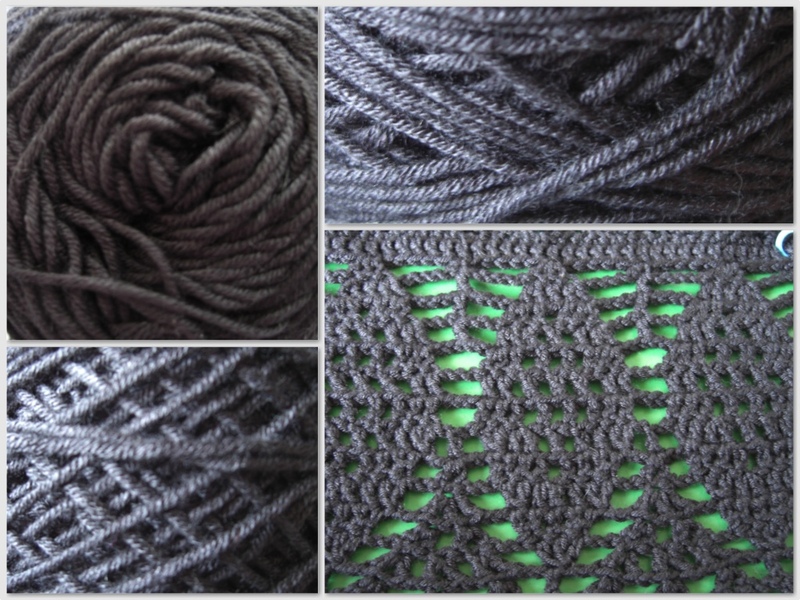 Also, an 1895 2-ply scarf pattern? EPIC! You must do it! I think I’ve heard of that book, actually. Let me know how you find it. I’m sure it’ll be totes amazing! Right now I am crocheting a scarf. Not nearly as impressive as your projects! Anyway, I am sure I will be back soon. Hi Raynor! Thanks muchly for stopping by Maybe Next Week – you’re on my reader too! 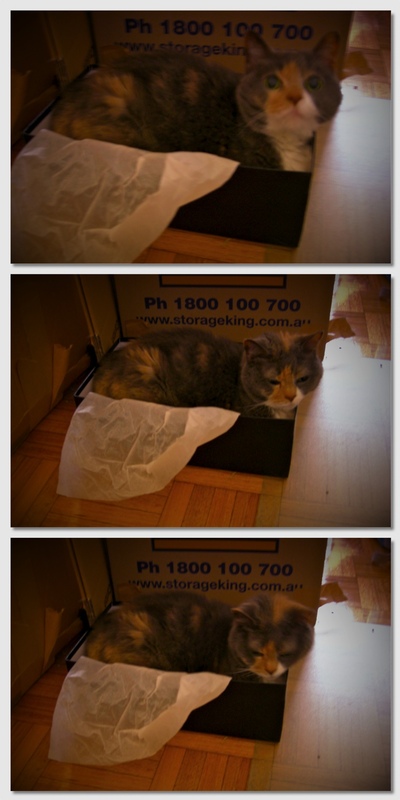 Your kitty-cat look splendid – somehow cats and boxes are just made for each other! I hate packing with a firey vengeance, but absolutely love unpacking and setting up – I’m gearing up to move into my first place on my own and I can’t wait to be able to figure out where eveything goes and put all the pictures on the walls that I’ve been collecting over the years! Hurrah! Oh, isn’t hanging pictures the most exciting thing? The house we’re in now has no hooks or anything, so I made do with Command adhesive hooks (we’re renting, you see), but they’re a little expensive. The next place has picture rails, and rail hooks are much cheaper and don’t need holes, so I’m even more excited! i hate moving so much that we’ve been renting the same condo for 10 years. haha.